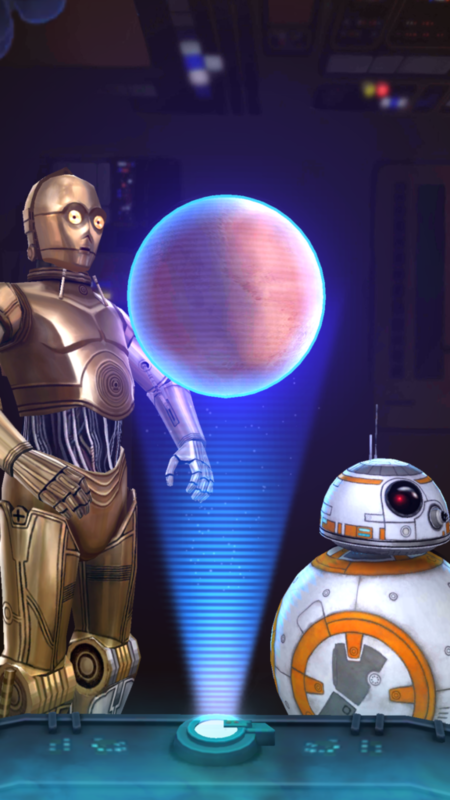 Get ready to explore the galaxy with some of your favorite droids, blasting into an adventure like you’ve never seen! 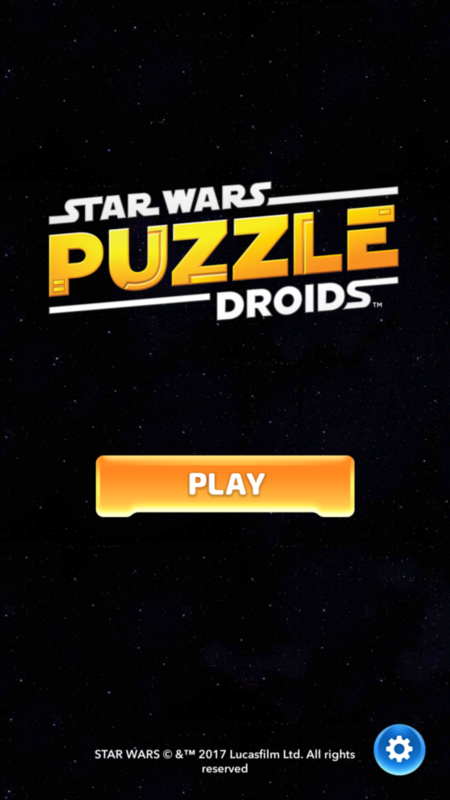 Star Wars: Puzzle Droids brings familiar characters to the “match three” genre of games we all know and love. 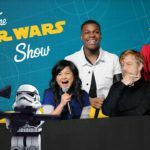 We follow BB8 and help him try to unlock his memories of how The Force Awakes unfolded — some memories that we already know from the movie and some that are new. 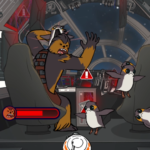 With the help of some of our favorite new Star Wars characters including Rey and Finn, you can earn power-ups, special modes of gameplay, and see some popular destinations in the Star Wars universe. There are so many of these types of games you can find for your phone, and I’ve started to notice that they all start to feel the same. How could it not? It’s hard to evolve these types of games, but Disney has done a great job making this type of game feel fresh. Initially, it was hard for me to grasp all the different rules to attaining all the power ups, because there were quite a few. Because of this, I didn’t quite enjoy the game as much. 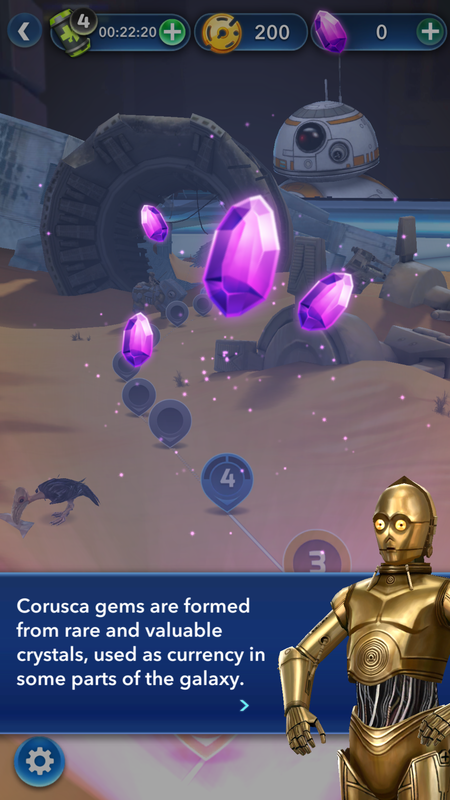 However, as I continued to play, I found myself going back more to see how far I could get in the Force Awakens story. I particularly enjoyed unlocking some of the new memories of BB-8 that furthered the story I already know and love. Aside from the learning curve at the start, I really enjoyed this game and know that any Star Wars fan would as well! In-app purchases are an option, but not required and I haven’t found any need for them yet. Additionally, there’s an option to link progress to social media to connect with others that are currently playing the game. 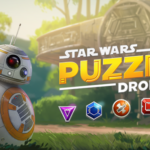 Star Wars Puzzle Droids is now available on Google Play and the Apple App Store — don’t wait, go start your adventure with BB-8!